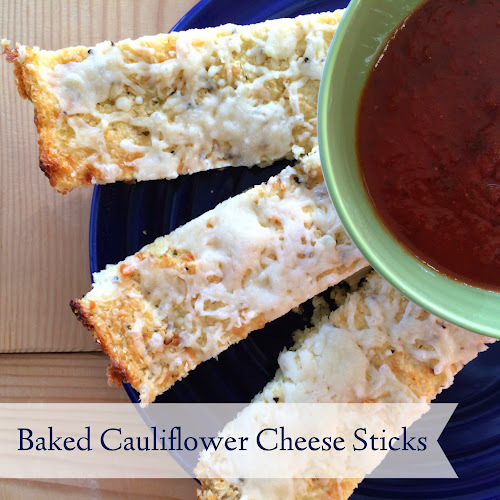 I was on Pinterest and came across quite a few recipes incorporating cauliflower, and I just couldn't resist these baked cauliflower cheese sticks. They were (not surprisingly) incredible, and John basically ate the whole batch all on his own. It was one of those moments where I felt like I had to fight to get a piece!! 1. Begin by "rice-ing" your cauliflower. To do this, I used a cheese grater and grated the head of cauliflower - this took about 10 minutes and grated about 2 cups of rice-sized pieces. 2. Microwave the riced cauliflower in a bowl for about 5 minutes until softened (stir every minute or so). 3. While your riced cauliflower is in the microwave, heat your oil and garlic in a skillet. 4. 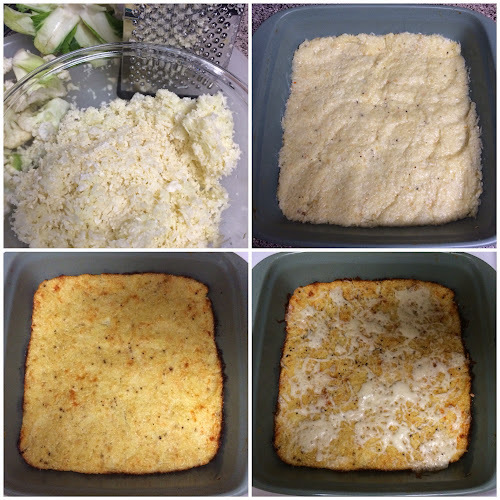 After your cauliflower is softened, mix together the riced cauliflower, oil and garlic, 1/4 cup of cheese, the egg (lightly beaten), and the Italian seasoning. 5. Spread the mixture into a baking dish (make sure to spray the dish first). 6. Bake for 30 minutes at 350 degrees (or until golden brown). 7. Top with the remaining cheese, and bake for 5 more minutes. These look so yummy! Have you tried cauliflower crust pizza yet? My fam and I definitely gorge ourselves on it! We will have to try these! These look so incredibly delicious!!!!! I need to make these! Yum! These look delicious. Definitely going to have to give these a try! Those sound delicious!! I am so pinning this recipe to use at a later date! 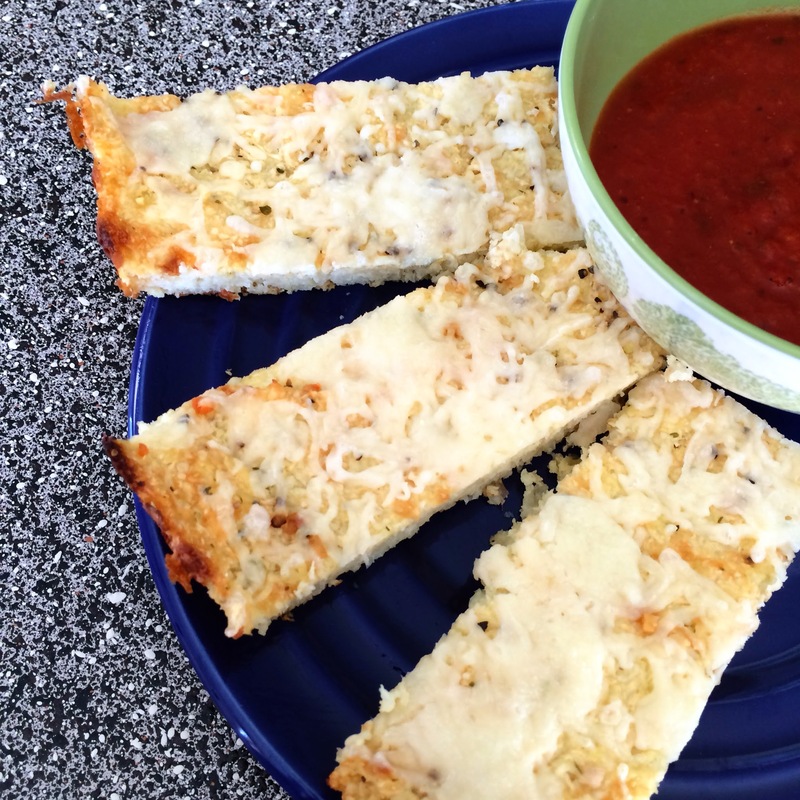 I've had this recipe pinned forever, I think I'll have to try them this weekend!! They look amazing! i've keep seeing this recipe pop up on pinterest - i'm glad you finally tried it - now i have motivation to try as well! Oh my goodness, Lisa! These look DIVINE! I'm going through a huge "healthy phase" right now so these are perfect for an appetizer, when having a little get together! Oh my goodness, I cannot wait to try these!! These sound delish! So creative!